Deploy and use a market-leading document comparison application on the desktop or as a cloud-delivered app that can run inside browsers, mobile devices, PCs, or be embedded in other document creation, sharing and management platforms. Global law firm, DAC Beachcroft, extends its relationship with Workshare. Compare and secure every file, everywhere with Workshare Professional 10. From the desktop, in the cloud or on any platform, with Workshare you get a market-leading solution integrated into your working environment. Make Workshare Professional 10 part of your ecosystem. 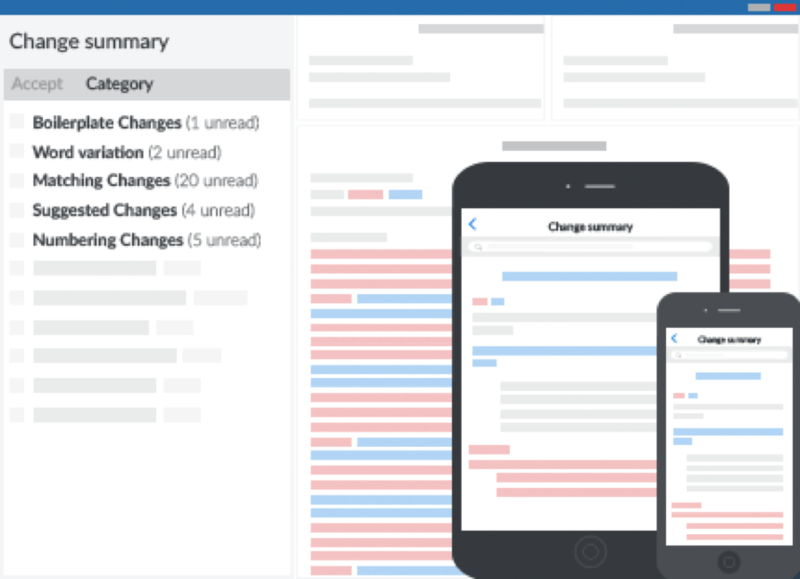 When you compare two documents as part of a structured review, every change matters. Complete the process quickly and accurately, ensuring not the least little change is missed. Compare files of all types in any language. You can compare two files, or two versions of the same file quickly and accurately, powered by our DeltaView technology. 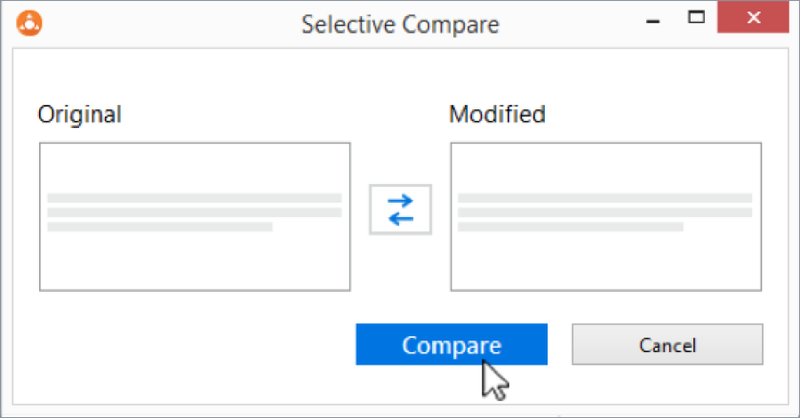 Workshare Selective Compare gives you the option to compare snippets of text or code, or you can compare two images or tables - any content really. Powered by the same DeltaView technology used across Workshare, you get dead accurate results on any specific content you need to review. 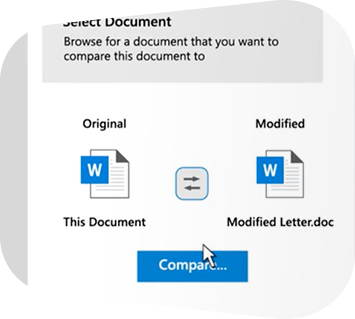 Run a comparison from Outlook; review Word, PDF, Excel and PowerPoint files right from your inbox. 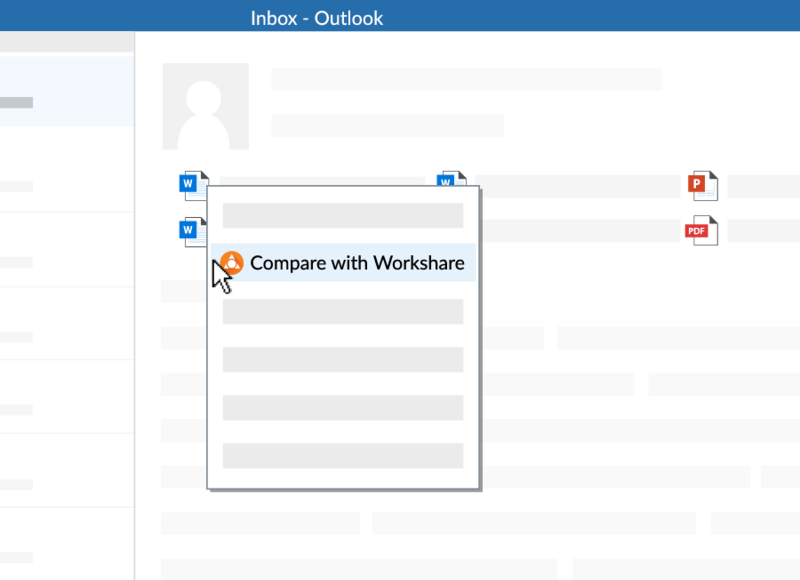 Right-click an email attachment and select "Compare with Workshare" to run a comparison and see every change. You can also compare two snippets of text from the body of your email without the need to redline an entire file. I'm extremely pleased with this product, because it helps make comparing documents fast and easy. Going beyond the traditional integrations of Windows and Office, we work with leading technology providers to embed Workshare comparison into all major document and case management systems. Seamless integrating into the daily working environments of our users. Use the fastest metadata removal solution on the market. Clean all your Office files as you work when they're open in Word, PowerPoint or Excel. Or bulk clean entire folders at the end of a project. Feel confident that you're only sharing the information you intended. Use Professional 10 to automatically clean potentially sensitive metadata from your files and convert them to PDF. Avoid inadvertently sharing sensitive information and putting your company at risk. 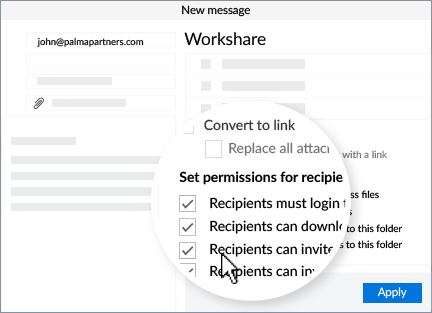 Get advanced interactive metadata cleaning and file security within Outlook, right where you need it most. Share high-value content as secure online links and provide recipients with review features that progress documents faster. Large files can easily be shared in this manner directly from Outlook or Microsoft Office. Keep control of documents with authenticated access to, and permissions over content. Enable online commenting to replace complex email exchanges. Provide recipients with controlled access to content from any device. Take comparison to the next level. Use Compare Server on its own or with Professional 10. Enabling you to compare everywhere, with server-side DeltaView technology. Simple APIs allow your software developers to build custom solutions. Alternatively use Workshare Compare Server’s ready-made solution to beautifully present your comparisons in the browser. If you’re a customer or would like to become one, contact our Sales team to find out which systems already contain Compare Server and discuss the best products to suit your needs. We’re impressed by how simple Workshare has made it for us to integrate valuable document comparison into our flagship systems, and we are particularly excited about the opportunity it creates to enhance the experience for the external users our clients invite to collaborate in the HighQ platform.